How big is baby: Head of cabbage, 15.7 inches and almost 3 pounds. Weight gain/loss: Well, I held steady this past week at 25 lbs. Sleep: My sleep has been atrocious this week due to leg cramps almost hourly. Movement: I gave her movement about two more weeks before it turned painful, but I only got 2 more days. Painful jabbing has been ushered in, as well as the weird belly button push that makes you feel like you itch from the inside. Symptoms: I'm so so thankful for this mild summer, as my swelling hasn't been quite as bad as I thought I'd be experiencing based on my double header wedding weekend on Memorial Day weekend. It is still an issue, but man alive, I'm tired again. I hope that I haven't tapped out my energy completely! 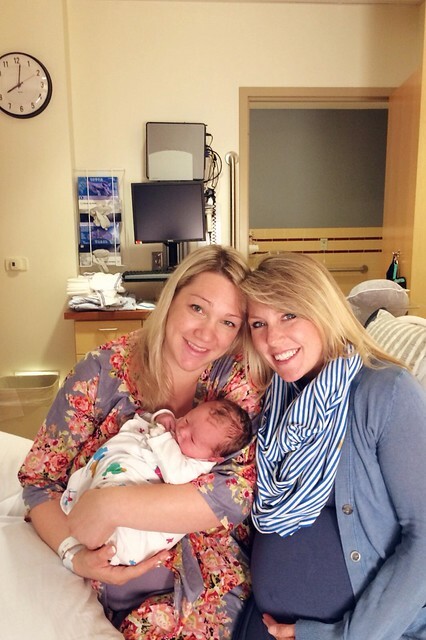 Best moment of the week: GINA had her sweet baby Cal!